A much-anticipated bill to rewrite Idaho’s school funding formula will be released by the end of the week. A draft of the bill will be posted online, and probably before it comes before a legislative committee, Senate Education Committee Chairman Dean Mortimer said late Tuesday afternoon. The unorthodox rollout speaks to the magnitude of the issue — and, perhaps, to the controversy surrounding it. Normally, draft legislation is kept under wraps. Sponsors are not legally required to release a bill until it is formally introduced in a legislative committee — so in many cases, sponsors take full advantage of that loophole in public records law. Senate Education is unlikely to hold a hearing to introduce the bill this week, said Mortimer, R-Idaho Falls. But the draft will be posted by Friday, on the website of the legislative committee that has spent three years studying Idaho’s complex school funding formula. But even though a bill could go public within days, lawmakers clearly have serious questions about the rewrite — and its myriad implications. Senate Education spent 90 minutes Tuesday digging into the issue and grilling the state’s consultants on the mechanics of the rewrite. Sen. Carl Crabtree was particularly concerned about one school district in his sprawling legislative district. The Orofino School District could stand to lose $1.3 million under the new formula. That’s because consultants have struggled to figure out how to cover at-risk students in a new formula — and because Orofino has a high concentration of at-risk students. 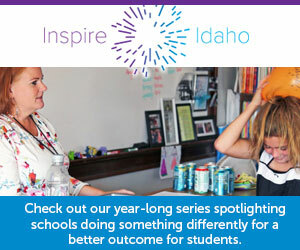 The district’s Idaho Youth ChalleNGe Academy, an alternative school for students who have dropped out of traditional high schools, accounts for more than 10 percent of the district’s enrollment. Legislators and consultants have talked about coming up with a “hold-harmless” provision in the new formula, which could shield schools from a funding cut for three years. “We don’t want anyone to fall off a cliff,” said Michael Griffith, a consultant with Denver-based Education Commission of the States. But voting for a potential funding cut could be a hard sell for Crabtree, and his constituents. “They might want to have me precede them in going over the cliff,” the Grangeville Republican said. And attempts at problem-solving could create their own complications. Lawmakers could create a three-year “hold-positive” cushion, which could give every district and charter school at least a 2 percent budget increase for three years. For Orofino, that could turn a $1.3 million loss into a $182,000 gain. But once this cushion goes away — and its funding dries up — Orofino could face an even steeper budget cut. As a result, Griffith said, these funding cushions can become “addictive,” and in other states, they have lingered on the books for 15 to 20 years. Senate Majority Leader Chuck Winder tried to alleviate his colleagues’ concerns. If the Legislature increases K-12 spending by a little over $100 million a year — more or less in line with recent spending decisions — this growth would cover most problem areas. The sole exceptions would be Orofino and Richard McKenna Charter School, a Mountain Home charter school with a high at-risk population. The state has not rewritten its school funding formula in 25 years. And the bill could be one of the longest and most delicate bills before lawmakers this session. The funding formula rewrite isn’t a new issue for Senate Education. Five of the committee’s nine members have served on the funding formula panel at one time or another: Mortimer, Winder, and Sens. Steven Thayn, R-Emmett; Lori Den Hartog, R-Meridian; and Janie Ward-Engelking, D-Boise. But even for Mortimer, Tuesday’s study session was an education. He said he had never looked closely at the Orofino issue. “We really are starting to understand not just the problem but the formula, and what we’re trying to do,” Mortimer told colleagues at the end of Tuesday’s meeting. The proposed formula — a spreadsheet available on the committee’s website — remains fluid. It will change at least twice in the days to come. Consultants want to plug in up-to-date enrollment numbers, and then work in a weighting that accounts for schools that have a greater number of veteran teachers who receive higher salaries. In other news on the funding formula front, legislative leaders are urging school officials to email up-to-date local data to the state. Local officials can use a dedicated email address, [email protected]. Technical support is also available through this address.